~Eternal Snow~: The Sky's the Limit. Non anime/otaku related post, again. As one who is always interested in learning new things, and also being adventurous at doing things others usually don't, I have taken another step at advancing into new areas. This time round, I'm taking to the skies!! a nice wallpaper quality picture, let's move on. Through my dad's old friend from the Air Force, he came to know about Flughaven, a flying school (Singapore based, but flies in Malaysia) recently setup for those interested in flying, and my dad and me were invited to take a ride with them. 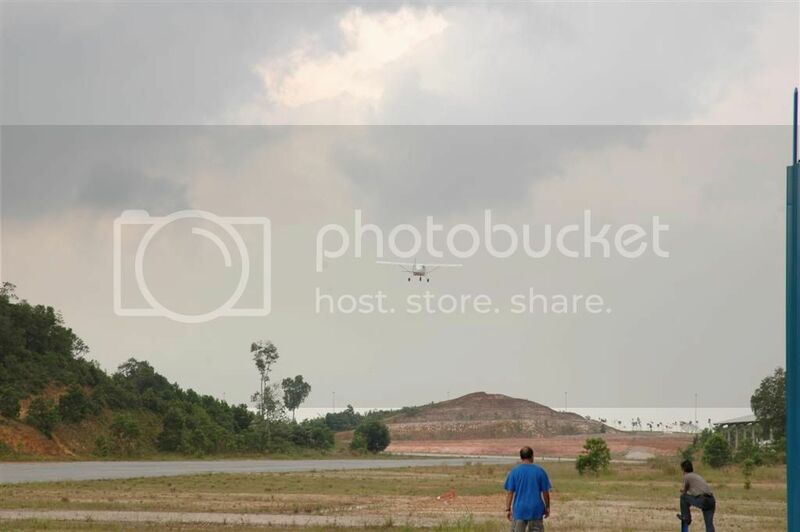 Located a mere 5mins once crossing the Second Link from Tuas (Singapore) into Johor, it is quite accessible to all. 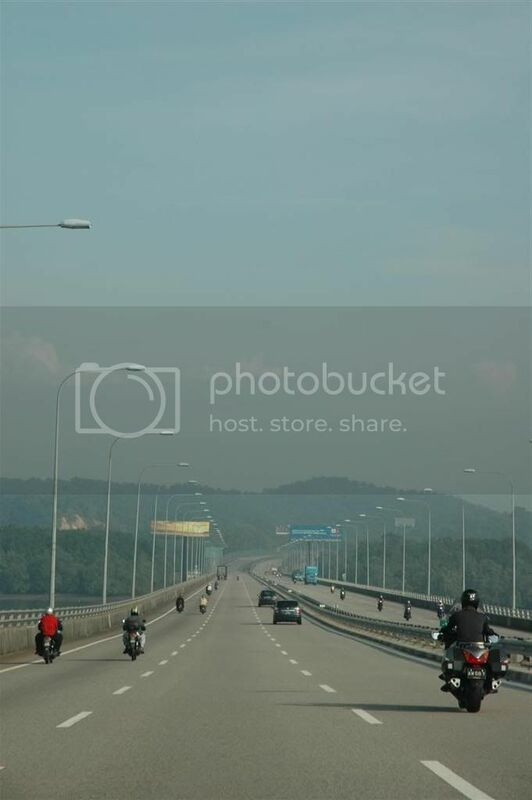 Traveling along the Second Link into Johor, Malaysia. Meeting up with my dad's friend, Darren, who is doing the ground teaching for Flughaven (he's a former C130 Navigator), we talked about taking up a [Restricted] Private Pilot License (R-PPL, restricted to Malaysia Airspace), and what we can do while having this license. We also talked about future advancement in the license up to the stage of a commercial pilot, some of the aircraft specifications, future plans of the company etc. 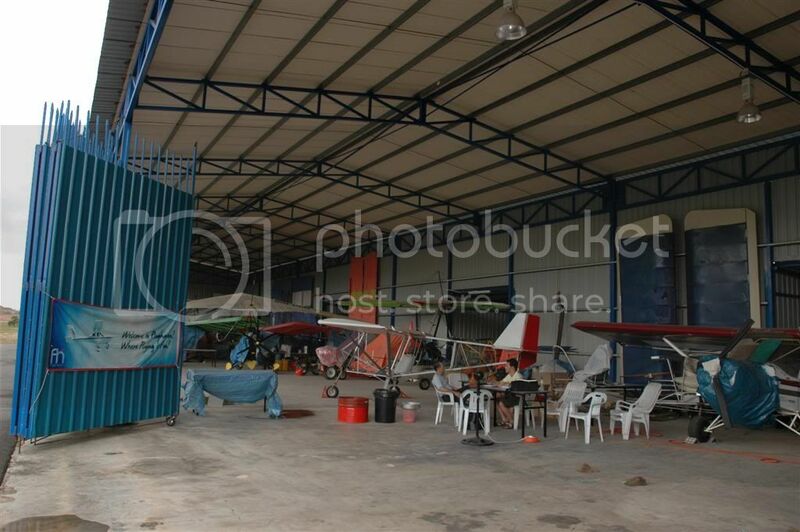 The hanger where the aircrafts are housed, the J160 is currently airborne at this moment. 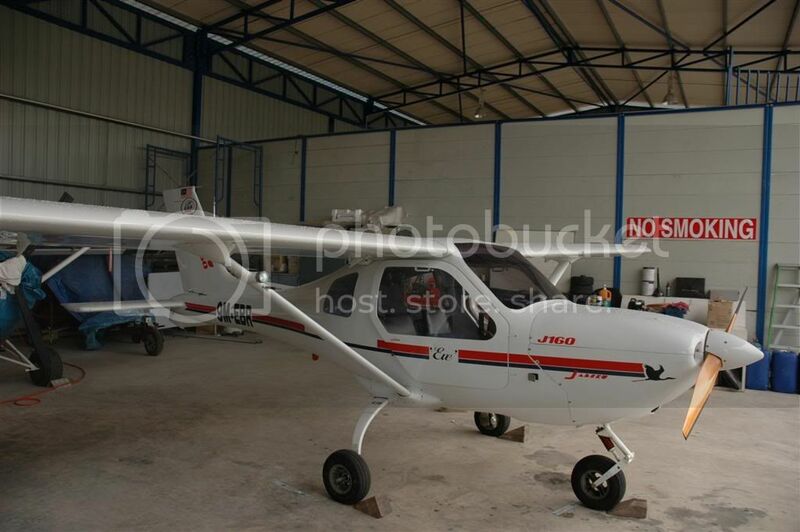 The other flyable/non-flyable aircrafts you see in the photo belongs to other people. Flughaven has only 1 aircraft now, but they are going to get more aircrafts into their fleet soon. 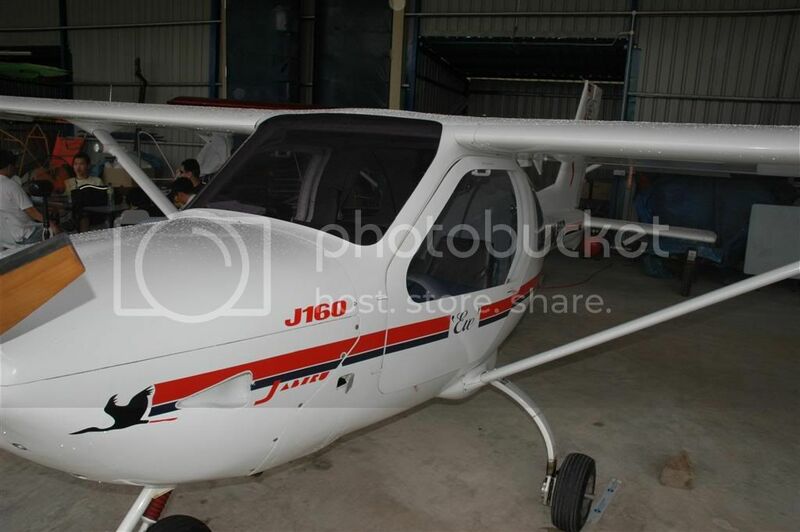 After all the talking, we headed for a joyride around in their current aircraft, the Jabiru J160, but since it's a 2-seater, we took turns and I went first. Even though I wasn't a student pilot, I was given a chance to handle the machine, mainly mid-flight stabilizing (keeping the aircraft steady and moving straight while heading in the correct direction) and some turning around. When in control, I could really feel the quick response in the flight controls, doing minor adjustments once a while to counteract the uneven weight (the instructor said it was due to his weight lol) and the wind forces that act on this lightweight aircraft (300kg when empty). The view from above was also really beautiful, but sadly I couldn't (didn't actually asked though) bring the camera onboard to take some photos. it's actually quite comfortable sitting in it. Once my 2 feet were on the ground and my dad went up for his turn, I chatted more with Darren on the capabilities of the aircraft, and places in Malaysia where we could land at. One location which I had particular interest was Tioman, which seems to be only a 1hr - 1 1/2 hrs flight away, and with the J160 fuel consumption at 15litres per hour, it's only about RM30-45 for that trip in petrol cost? (The engine can take petrol, and cheers for cheap petrol in Malaysia!) If I had my own plane (the J160 cost about S$100,000...which is cheaper than all those luxury petrol-drinking cars in Singapore! ), I could fly to Tioman, grab a few dives, then fly back home in a day, talk about the amount of time (and money) saved if you would drive (2-3hrs), then take a speedboat (45min - 1hr) there! Taking off by one of the students who was there for lessons. But like all things that I really like to do, my Hand of Midas came to work again. 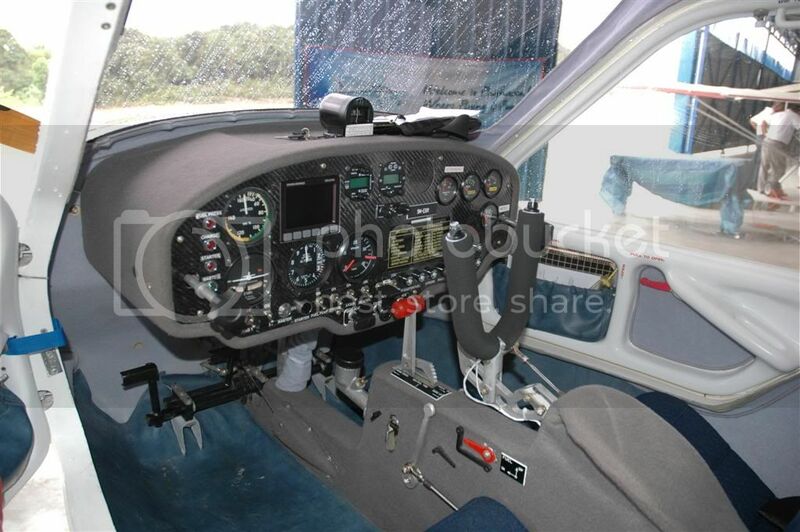 The cost of picking up this hobby would set me back about S$7,000 minimum, up to about estimated S$10,000, but still it's alot cheaper than most flying schools. I guess for now, I'll need to source some kind of funding for this if I decide to pick it up. A good thing is that payment for the training is not a one-time fee, but you only pay for each lesson you take at any time, so depending on how long one would take, the S$7k - S$10k cost is spread out, so you don't feel the pinch at one shot. 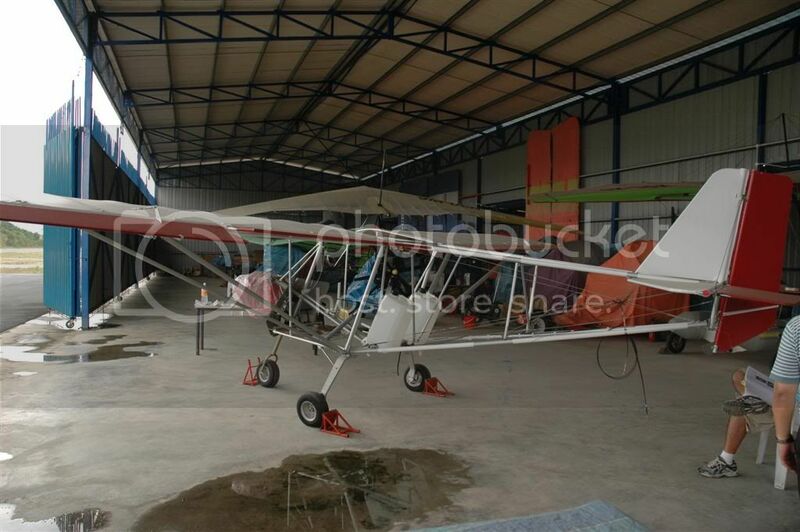 One of the instructor (or instructor-to-be soon) is building his own aircraft. Even though it's from a kit, it isn't easy to build one, and there's alot of fine-tuning required to make sure everything is working well. Would love to do one myself too ^^. Once my dad was back from his joyride, we bid our farewells and headed back to homeland. Along the way we discussed about the cost and various others, including trying to psycho some more friends to join me if I do pick it up. But there's definitely one thing I learnt: To save cost from traveling into Malaysia, don't go by Second Link (Unless you can't stand the possible jam at the Woodlands Causeway). An average of S$10 for going into Malaysia and another S$10 for coming out just for using that bridge, and the amount of petrol used to travel to Tuas is a waste of money. I rather take the Causeway (nearer to my house too) and top up on cheap petrol on the way out, I calculate that to be cheaper. Anyone else interested in taking to the skies? Time to go back to watching Honey and Clover Jdrama. Signing out. You want to be pilot for SIA? so the S$10,000 is for all the lessons for u to get a flying license? any exams? wongtcsg: nah, it's more for a hobby than to fly for an airline. 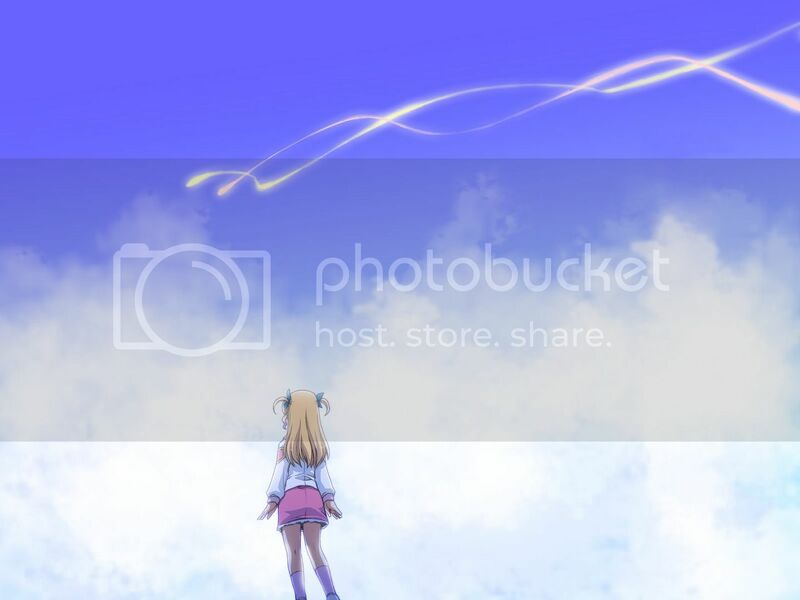 Unless they provide in-flight latest animes to watch while the plane is on autopilot ^^. gordon: based on the average time taken to learn, it'll be around that range to get the restricted license. However, to fly planes for companies like SIA will definitely need to undergo more training to upgrade the license, but usually will be done by the company itself, this is just a stepping stone to "sell" the fact that you can fly a plane. There's definitely exams to take, both theory and practical, but with an interest in aviation, it'll be much easier to pass. And it's really fun to see the world/ground from a different point of view. Yeah I was interested in doing this too, and it is definitely cheaper to do it in Malaysia than in Singapore. 10K is considered pretty ok, in Singapore it will set you back at least twice that amount. No real point. wow, thats certainly amazing. When u say u fly a plane, it certainly dont mean one in the games haha. squee: money seems to be the problem most of us face lol. Maybe sell an organ or two to make some quick cash ^^. ck: it surely comes in handy as a conversion topic, maybe that's one reason why I enjoy learning and picking up a wide range of sports/hobbies.